A Luxury Property With California Soul. Welcome To The Ritz-Carlton Bacara. 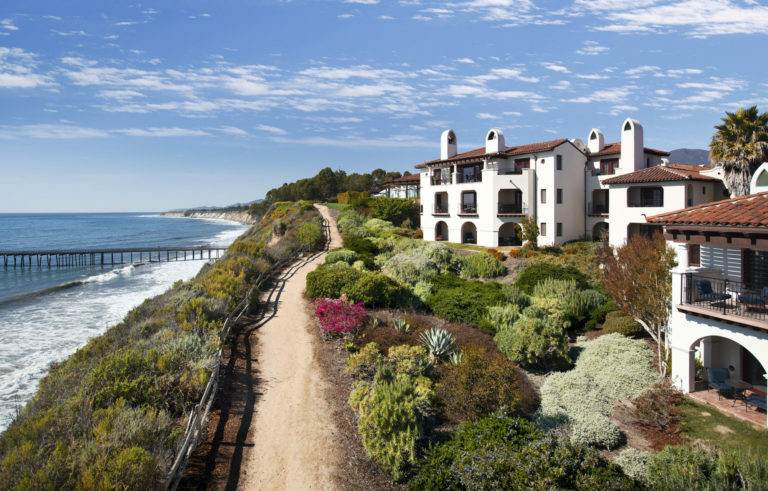 With its spectacular setting, coveted location, beautiful architecture, and wonderful weather, The Ritz-Carlton Bacara is the perfect beach resort in Goleta, ideal for weekend getaways, leisurely vacations, family reunions, weddings, honeymoons, and conferences. Experience an enchanting getaway at this top luxury hotel. 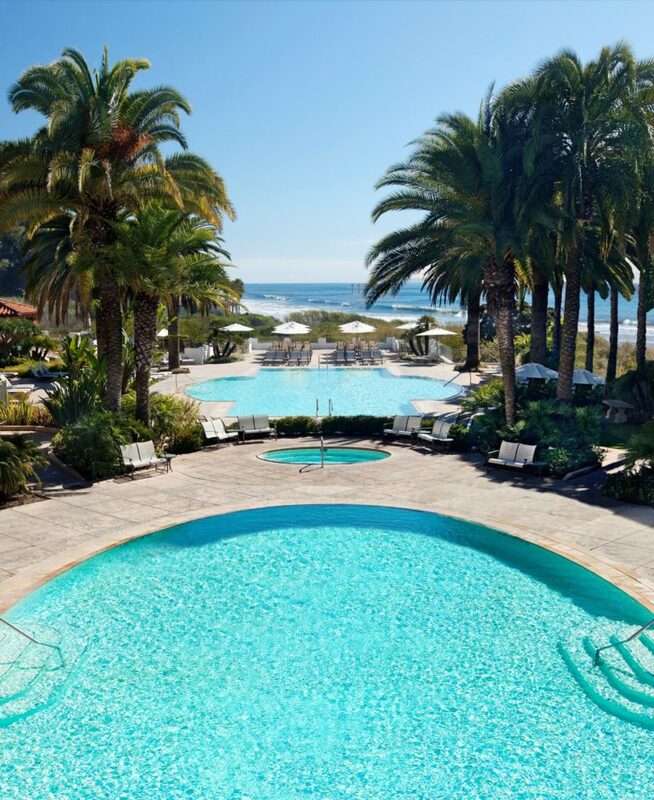 You’re golden when you stay at The Ritz-Carlton Bacara. Dining options ranging from gourmet coffee bar to casual cuisine and fine oceanfront dining, Blend, Spa Café, The Bistro, and Angel Oak. More than a meeting venue, the Mediterranean influenced Bacara is a legendary coastal destination. Located on the Pacific, The Ritz-Carlton Bacara’s 78 acres along the American Riviera set the stage for extraordinary. From incentives, corporate retreats and investor meetings to team-building and social events, any occasion is larger-than-life at The Ritz-Carlton Bacara. Offering more than 70,000-square-feet of flexible space designed to promote creativity and exceed business goals, The Ritz-Carlton Bacara ensures your next event will be a true success. Spacious, luxury venue is 11,300 square feet and features 23-foot-high ceilings with beautiful sculptured details, gilt-framed mirrors, and six balconies that can accommodate up to 1,500 guests for a theater set-up, 110 guests for a conference set-up, and 1,500 guests for a reception. 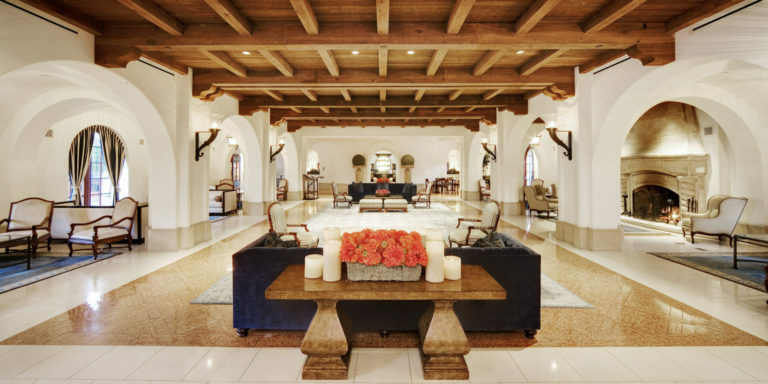 1,734-square-foot circular Rotunda atop Bacara’s main lobby features a sun-filled space, complete with views of the ocean, gardens, and adjoining terraces. Rotunda can accommodate up to 1,000 guests for a theater set-up, 30 guests for a conference set-up and 180 guests for a reception. 2,072 square feet, the Santa Ynez Room is ideal for midsize meeting or dining events, with a two-story vaulted ceiling and exterior terrace with ocean views. Santa Ynez Room and Terrace can accommodate up to 150 guests for a theater set-up and 220 guests for a reception. Great for breakout sessions and social gatherings. Each salon has its own private patio and they all share a wide foyer for registration or other functions. Salons 1, 2, and 5 can accommodate up to 45 guests for a theater set-up, 15 for a conference, and 50 guests for a reception. Salons 3, 4, and 6 can accommodate up to 80 guests for a theater set-up, 30 for a conference, and 100 guests for a reception. Angel Oak offers six private and semi-private dining spaces to create the perfect balance of privacy and openness. Accompanied by elevated finishes and unique design elements, spaces can accommodate up to 250 people for parties or special functions. This self-contained Executive Conference Center contains an 88-seat auditorium with tiered classroom seating that complies with the International Association of Conference Centers (IACC) guidelines. The Bluff is high atop the Pacific with dramatic ocean views. This gracious, outdoor venue can accommodate up to 300 persons. In addition to an 11,310-square-foot Grand Ballroom and a state-of-the-art Executive Conference Center, Bacara’s unique function space includes a beachfront landing that can accommodate up to 1,000 attendees for a seaside dinner, breathtaking reception, or expansive team-building event. The Ocean Lawn offers panoramic ocean views and is adjacent to the Executive Center. It’s the perfect meeting venue if you’re looking for alfresco event space to mingle in-between indoor meetings. This beautiful outdoor event venue can accommodate up to 500 persons. The open-air Ocean Terrace, with its wood-burning fireplace, is the perfect place for outdoor events of up to 200 persons. Gather around the fire as you brainstorm and mingle with colleagues and friends. Gorgeous property, didn't need to leave resort! This a great place to spend a couple days!